Tonight we decided to try Asti again. 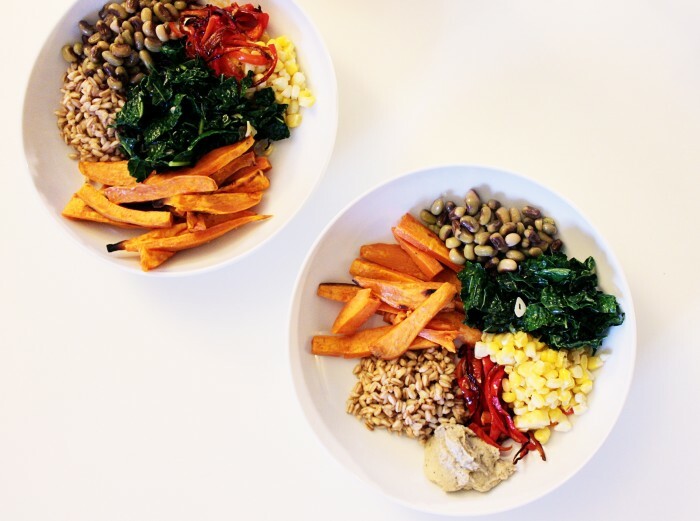 We hadn’t eaten here in a while, but now that Chef Jason Donoho is in charge, we wanted to try out his new menu. 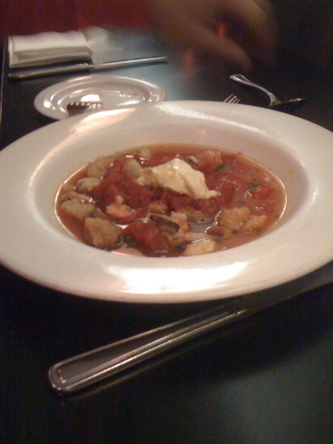 I decided that I might have to go to Asti for lunch every day during the week, just to have a bowl of the ceci bean soup and bread. 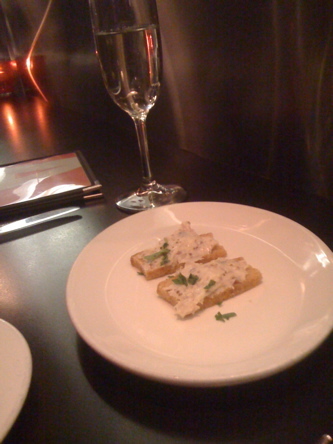 A little gift from the kitchen: Prosecco and crostini with white bean, roasted garlic and grainy mustard puree. 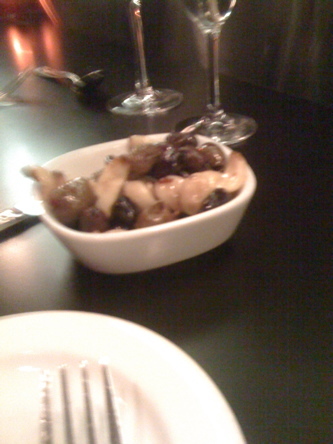 Roasted olives… I can’t believe it, but I actually loved the green olives. Soup special: Seafood broth with mussels, crab and croutons… I wish I had written down exactly what the specials were, because this one was amazing. 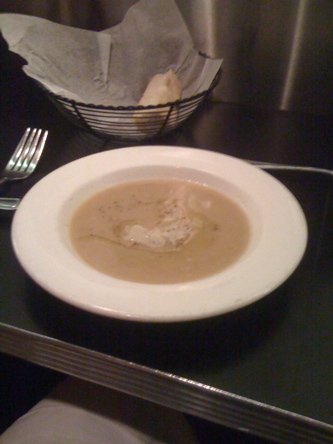 My new favorite soup: Ceci Bean & Leek Soup with Parmesan Brodo, Black Pepper & Truffle Oil. Ohmyga. Another gift from the kitchen: Sweet Potato Gnocchi with Chestnuts, Brown Butter, Sage & Parmesan. Holy moly, this was good. 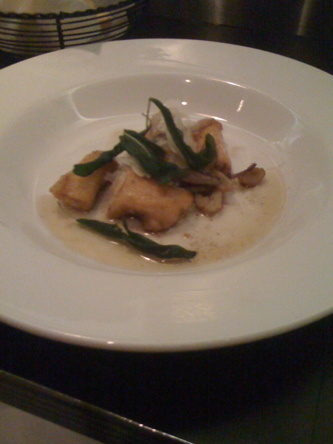 The gnocchi was fluffy and delicous, and the chestnuts were such a nice addition. 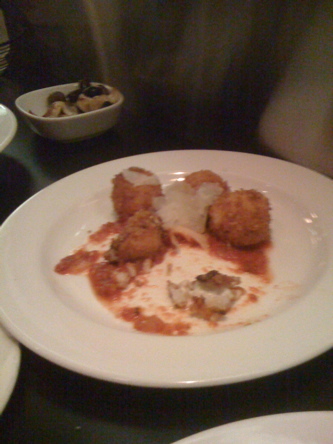 Mozzarella suppli: Fried Carnaroli Rice with Tomato Sauce Fresca. I should state for the record that I LOVE suppli anyway, but seriously? 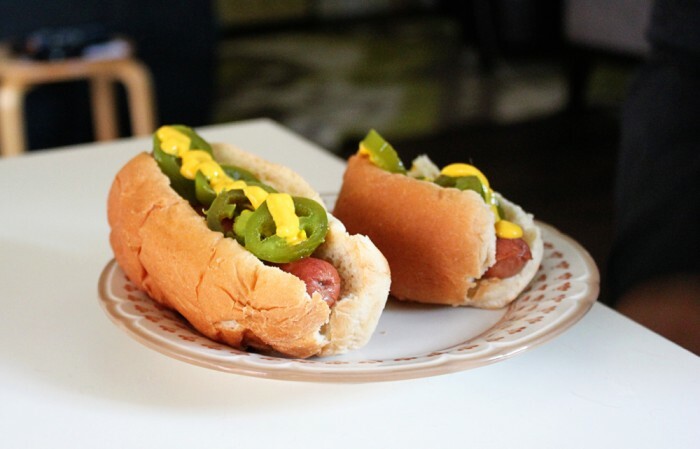 These were so good. 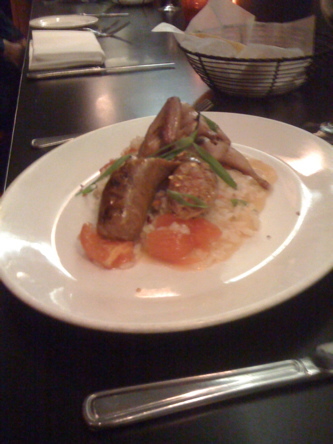 Justin’s dinner special: Mixed grill with quail and Asti sausage, served with squash and tomato risotto. Wow. Seared Scallops & Mandilli Pasta with White Truffle Butter, Lemon & Scallion. 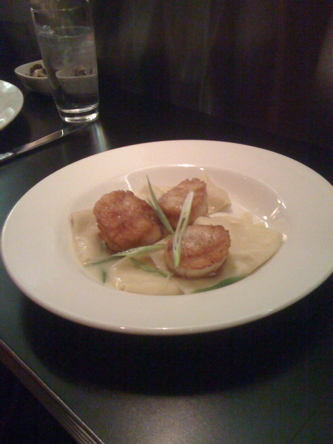 This was amazing… the scallops were perfectly cooked, and the huge sheets of handmade pasta were such a nice texture. 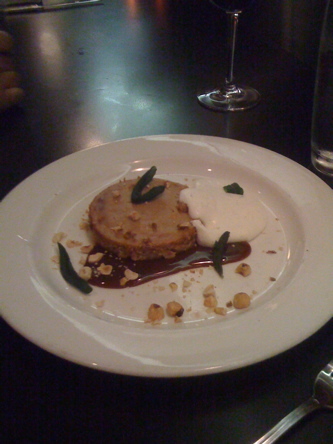 Dessert special: pumpkin cheesecake tartlet with fried sage and hazelnuts, and I think a dark caramel sauce and vanilla creme anglaise. Um, yeah. This was fabulous. I am so excited that our new house is only a few blocks from ASTI. 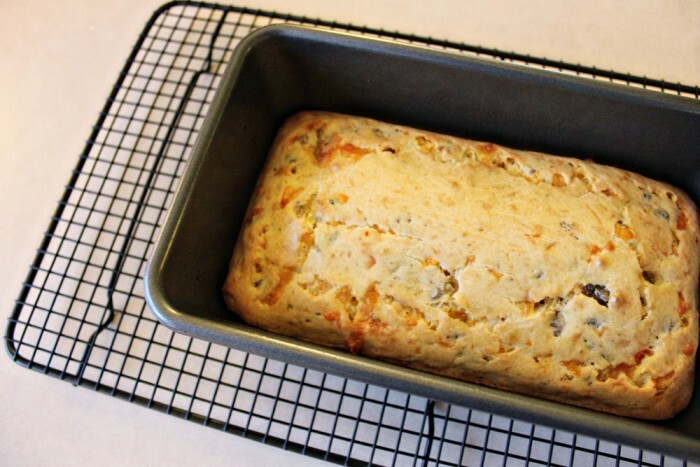 Thanks for the lovely pics and reminder of their tasty food! I could so go for that pasta with scallops RIGHT NOW.